"My objective now isn’t to throw as hard but to pitch,” said the Yankees’ closer, who is adjusting his approach as age takes away some of his trademark velocity. In a remote Himalayan town in northern India, a women’s ice hockey team comes together. After Major League Soccer announced its intentions to again expand, Louisville City FC said Friday that it&apos;s focused on the United Soccer League. Kentucky forward EJ Montgomery will test the NBA draft waters after an up-and-down freshman season. _RDSS to KGEN to Energy_ Hello Jeff and pace and cap classic program fans Here is my workup of race 4 from AQU From RDSS where I selected and create my RAC. files for the old dos Sartin program. First I sent all my lines to KGEN . 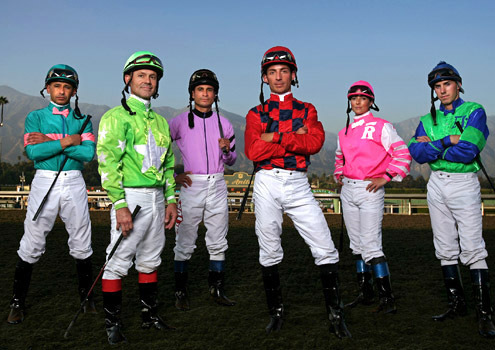 « TV’s “Jockeys” is a winning ride. But why muzzle Trevor? Santa Anita announced on Friday that purses will increase $10,000 for all non-stakes races for a six-week period beginning April 26, a hike funded through existing excess funds in the purse account and monies from the track’s parent company, The Stronach Group. Electric Forest seized command from the onset and never looked back Friday in a scratch-laden 25th running of the Grade 3, $100,000 Doubledogdare Stakes at soggy Keeneland. Despite slow early fractions, Feel Glorious was able to rally from last place to win the $100,000 Memories of Silver by a head at Aqueduct on Friday. Each Saturday NTRA and BloodHorse will provide a one-stop guide to the day's top stakes races in North America and beyond. Races are listed in chronological order (all times Eastern) and links to full previews are provided. Stonestreet Stables homebred Electric Forest earned her first stakes victory over a sloppy track in Keeneland's Doubledogdare Stakes (G3) for older fillies and mares in her season debut.